Happy launch day for The Mystery of the Jewelled Moth! 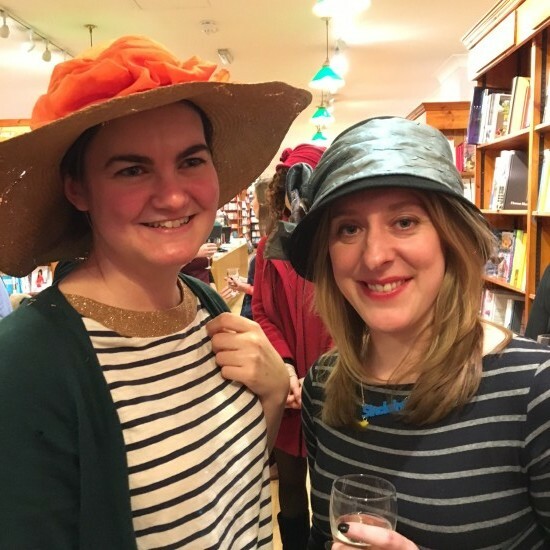 The Mystery of the Jewelled Moth was published this week – and to celebrate, we had the loveliest launch party at Daunt Books Cheapside! 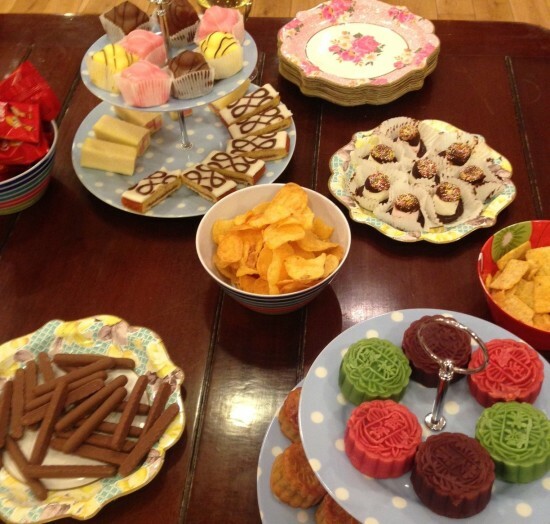 There were cakes and hats aplenty, and lots of friends in attendance to help welcome Jewelled Moth into the world! Celebrating in stripes with agent and top pal Louise Lamont. 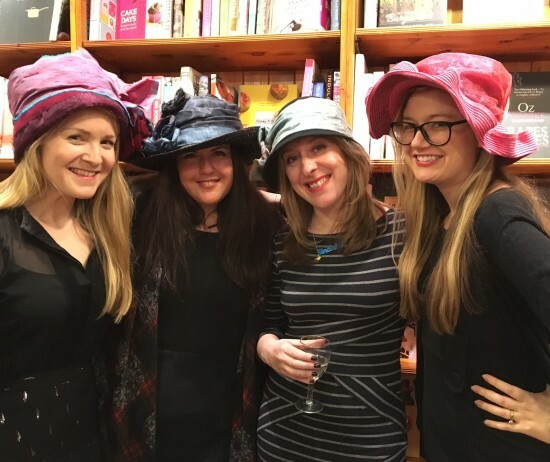 Trying out the millinery selection with lovelies Claire Shanahan, Nina Douglas and Katie Webber. With my mum and dad! Huge thanks to everyone who came to help celebrate The Mystery of the Jewelled Moth! 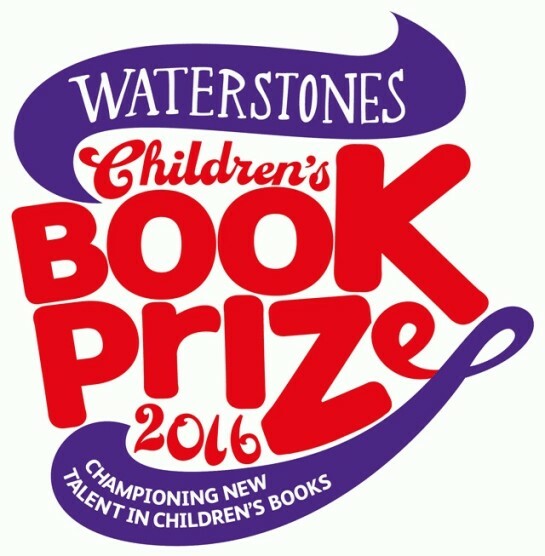 I’m so thrilled that The Mystery of the Clockwork Sparrow has been shortlisted for the Waterstones Children’s Book Prize 2016! There are also lots of brilliant books shortlisted for the Illustrated Book and Older Fiction category of this year’s Prize – including lots of my favourites! It’s particularly special to me that Clockwork Sparrow has been shortlisted for this prize, as the shortlist is chosen by booksellers in Waterstones stores. I’ve written here before about how much I love Waterstones: it’s so important that we have a top quality high street bookseller, with knowledgeable booksellers and a wide range of books. 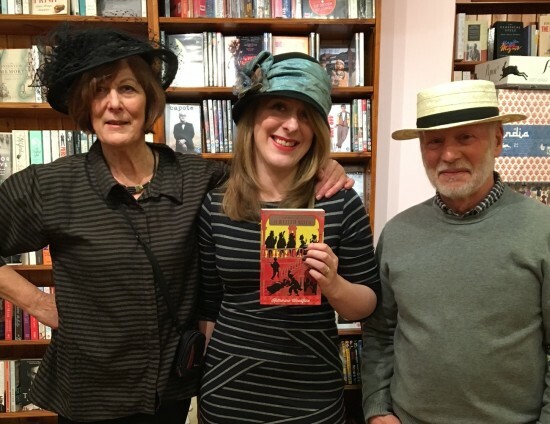 I was inspired by Mel Salisbury who wrote this lovely blog post about being shortlisted for the Older Fiction category, to write a bit about my own relationship with Waterstones. We didn’t actually have a Waterstones in Chorley, the small market town closest to where I grew up (though these days you can find a great indie bookshop there – the lovely Ebb & Flo). But a trip to the big Waterstones in nearby Preston was about the most exciting thing I could imagine, and I can remember spending HOURS in the children’s section, luxuriating in the deliciously difficult task of choosing which books to buy with my Christmas or birthday money. When I was 11, my mum and I moved a little further north to Lancaster, and I was thrilled to realise that we now lived just 10 minutes walk from a big Waterstones. I could go there as often as I wanted – and I did, feeling extremely grown-up and sophisticated. I knew that bookshop inside out, and spent a lot of time choosing a new Baby-Sitter’s Club title, or eyeing up the Judy Blumes. Lots of my favourite books came from that shop – I especially remember buying The Diary of a Young Girl by Anne Frank, A Little Love Song and Cuckoo Song by Michelle Magorian, and The Quantocks Quartet by Ruth Elwin Harris – which was one of the series that first made me interested in the Edwardian period. It was apt that a few years later, I ended up doing work experience in that very same Waterstones, where the lovely booksellers were so welcoming and embraced my enthusiasm for all things bookish! A year or so after that, when a Saturday job became available, I was lucky enough to get it. I loved being a Waterstones bookseller, and had such a great time there that I even carrying on working occasionally during my holidays after I went away to university. These days, Waterstones bookshops are some of my favourite places in London – from the glorious flagship store, Waterstones Piccadilly, to the gorgeous new Waterstones Tottenham Court Road where I recently went to hear Juno Dawson talk about her latest book Mind Your Head. I’ve been lucky enough to attend the Waterstones Children’s Book Prize ceremony for the last few years in the company of the Waterstones Children’s Laureate, who has the job of presenting the prize to the overall winner. I’ve always loved having the chance to meet the authors and illustrators on the shortlist – it’s a dream come true to realise that this year, one of those authors will be me! 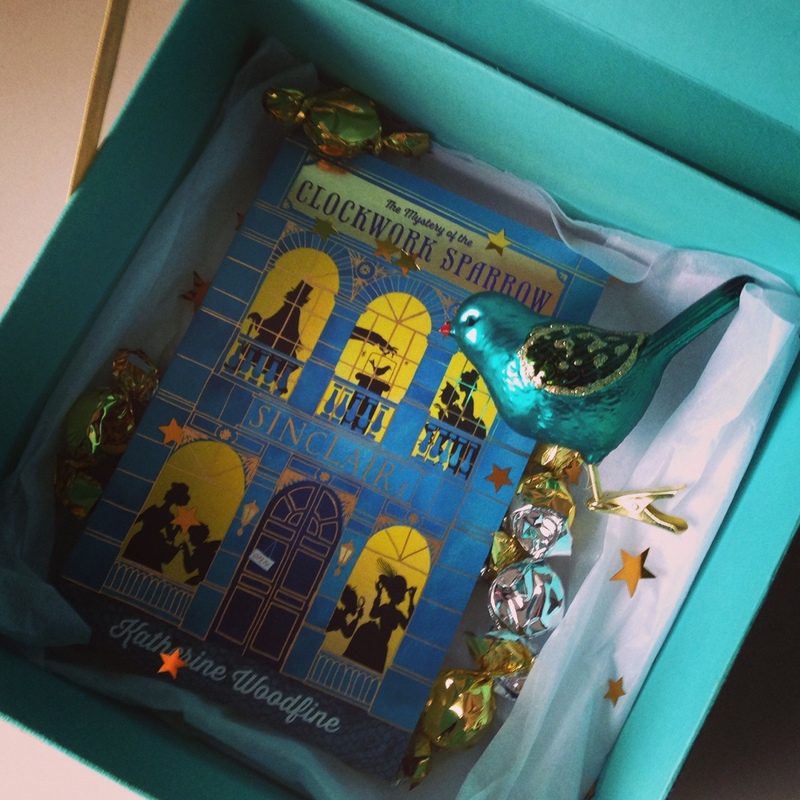 In other very exciting prize news, I’ve also recently found out that The Mystery of the Clockwork Sparrow has been longlisted for the Branford Boase Award 2016. This is another really lovely prize, and one of the things that makes it special is that it’s not just a prize for a book’s author, but for its editor too – so I share my longlisting with my two wonderful editors, Ali Dougal and Hannah Sandford. The prize is named for author Henrietta Brandford and her editor Wendy Boase: I love that it reflects the fact that a book is a real team effort, and recognises all the hard work of the editors as well as the author in creating the finished work. Check out the 2016 Brandford Boase longlist here. The Mystery of the Jewelled Moth is coming soon! Hello again! It’s been a little quiet here over the last few weeks because of a few pesky technical issues. But I’m back today with some very exciting news – the very first advance copies of The Mystery of the Jewelled Moth have been winging their way out into the world to journalists, book bloggers and booksellers. Here’s a quick peep – isn’t it a beauty? As with The Mystery of the Clockwork Sparrow, the glorious cover and interior illustrations are the work of the amazing illustrator Júlia Sardà (check out more of her beautiful children’s book illustrations here!) The design is by Benjamin Hughes at Egmont, who once again has done an incredible job of making a spectacular package. Just look at that lovely silver foil! 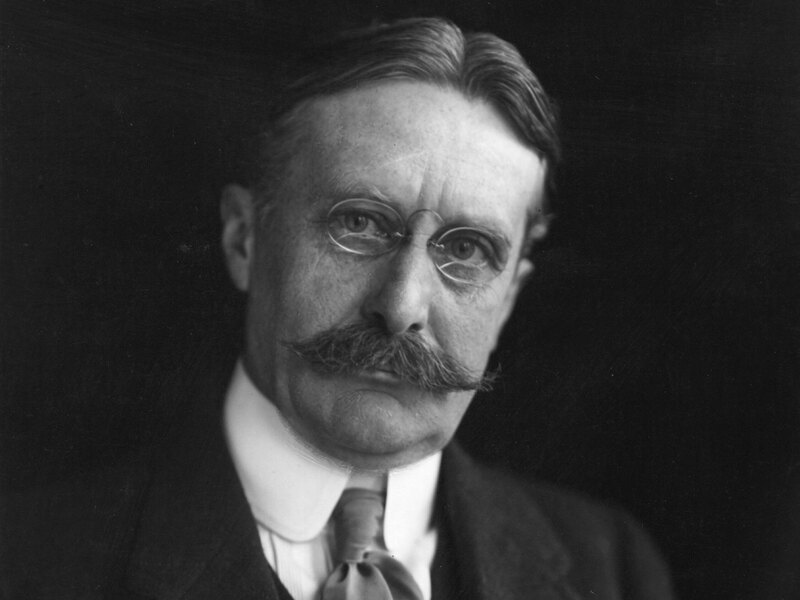 Following my previous ‘Behind the Scenes’ post about how real-life 1900s department stores helped to inspire Sinclair’s in The Mystery of the Clockwork Sparrow, I wanted to write a bit more specifically about one of the most famous of the Edwardian department stores – Selfridges, and in particular its owner, Harry Gordon Selfridge. 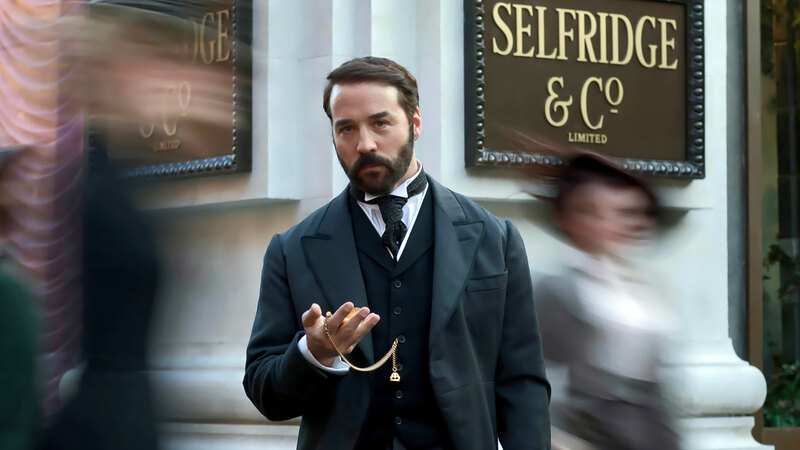 Like my own fictional department store-owner Mr Sinclair, Selfridge was an American. Born in Wisconsin in 1856, he left school at 14, first finding work as a junior book-keeper in a bank. He had several other jobs before aged 22, he took on a position at Marshall Field, then one of Chicago’s biggest and most successful new department stores. Selfridge’s initial position at the store couldn’t have been much lowlier – he was employed as a ‘stock boy’ working in the wholesale department. But his energy and ambition led him to quickly climb the ladder, bringing lots of new ideas to help the store to grow and thrive. Within eight years he was promoted to manager, gaining a reputation for clever innovation, a flair for publicity, and the highest standards of customer service. 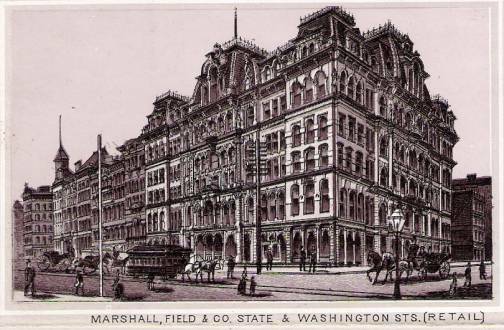 In fact, whilst working at Marshall Field, he is supposed to have come up with the maxim ‘the customer is always right’. 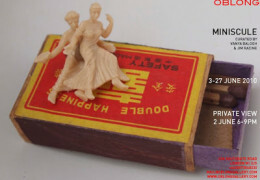 Before long ‘mile-a-minute Harry’ as he had become known had risen through the ranks, and had become a junior partner. He revelled in his new wealth and status, enjoying dressing elegantly and living the life of a Chicago society gentleman. In 1890, he married Rose Buckingham, the daughter of a prominent Chicago family. Rose too had a head for business, having already enjoyed some success as a property developer – at that time unusual for a young woman. The couple had a spectacular wedding, and went on to have five children. But after being refused a full partnership at Marshall Field, Selfridge began to look beyond Chicago. 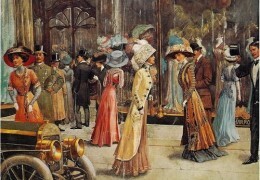 A holiday to London had given him the opportunity to observe a gap in the market – although London was at that time one of the most important cities in the world, its department stores had nothing to compare to their luxurious American equivalents, or to the elegant grand magasins of Paris. After finding a site on Oxford Street, at what was then considered the ‘unfashionable end’, Selfridge invested some £400,000 in developing it. The costs of his project were huge, and there were all kinds of complications to overcome before his dream of opening London’s largest department store could become a reality – but at last, Selfridges opened in March 1909, in a blaze of publicity. Meanwhile, Selfridge himself had become something of a celebrity in London. When he arrived at the store each morning – always very promptly at 8.30am – a crowd would have gathered on the pavement to see him. He always doffed his hat to his watching admirers. He had a large corner office on the fourth floor of the store, with its own lift and a private dining room where he could entertain important guests. As well as a personal secretary, he had his own social secretary and a valet who would visit him in his office each morning to make sure he was always perfectly dressed. Each day he would walk the store’s six acres. The department managers would anxiously telephone ahead to warn staff that he was approaching. He sent messages to his staff in special yellow envelopes – and he also famously used an hourglass in all his meetings, to stop people taking up too much of his time. He also continued to bring all kinds of new ideas to his store – from exhibiting the aeroplane in which Louis Bleriot first crossed the Channel, to later on in 1925, hosting one of the first ever demonstrations of live television. 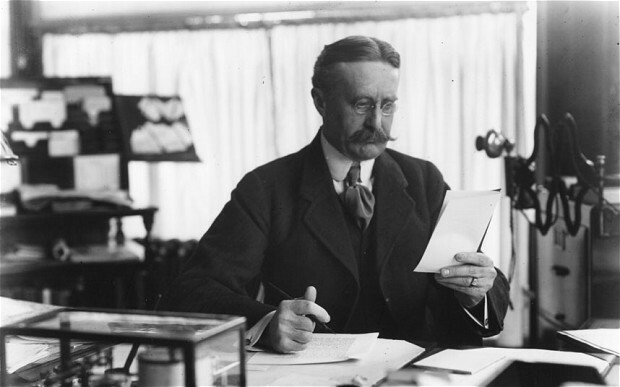 Selfridge captured some of his ideas about shops and shopping in a book, The Romance of Commerce which was published in 1918. The book included chapters exploring ancient commerce, Lorenzo de Medici, the East India company, and much more! Flush with his success, Selfridge enjoyed a glamorous London life in the 1910s and 1920s. But in the later years of his life, his extravagance began to catch up with him. After losing much of his fortune in the Great Depression, and struggling to compromise on his luxurious lifestyle, he soon became heavily in debt. He was eventually forced out of Selfridges in 1941 on a reduced pension – and when he died just six years later, he was almost destitute. 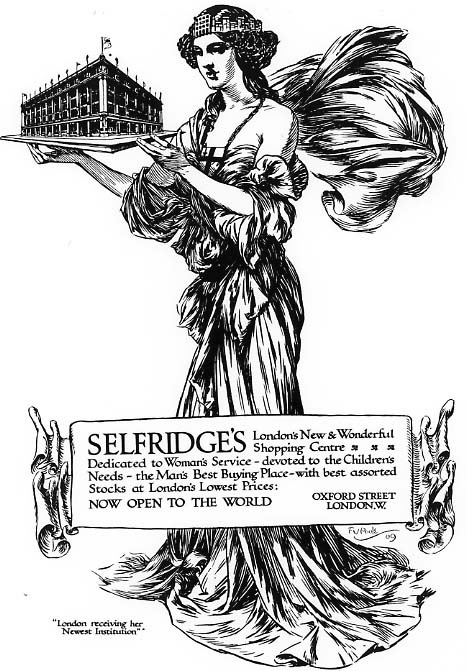 And of course, Selfridge also helped to inspire The Mystery of the Clockwork Sparrow. I was fascinated by the story of this charismatic character, who was often in my mind when I was creating my own fictional department store-owner, Edward Sinclair. 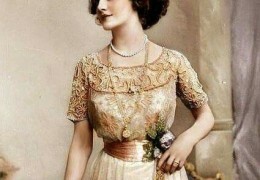 But I did enjoy giving my Mr Sinclair a few of Mr Selfridge’s idiosyncracies. For example, Selfridge famously loved pug dogs – so I’ve given Mr Sinclair his very own pet pug, Lucky. And just like Mr Selfridge, Sinclair wears an orchid in his buttonhole and takes great pride in being immaculately dressed at all times. 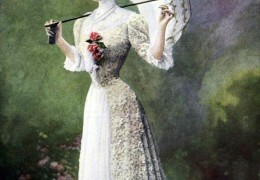 The owner of Sinclair’s department store was Mr Edward Sinclair, who was as famous as the store itself. He was an American, a self-made man, renowned for his elegance, for the single, perfect orchid he always wore in his buttonhole, for the ever-changing string of beautiful ladies on his arm, and most of all for his wealth. Although most of them had only been working for him for a few weeks, and most of them had barely set eyes on him, the staff of Sinclair’s had taken to referring to him as ‘the Captain’ because rumour had it that he had run away to sea in his youth. There were already a great number of rumours about Edward Sinclair. But whether or not the stories were true, it seemed like an apt nickname. After all, the store itself was a little like a ship: as glittering and luxurious as an ocean liner, ready to carry its customers proudly on a journey to an exotic new land. 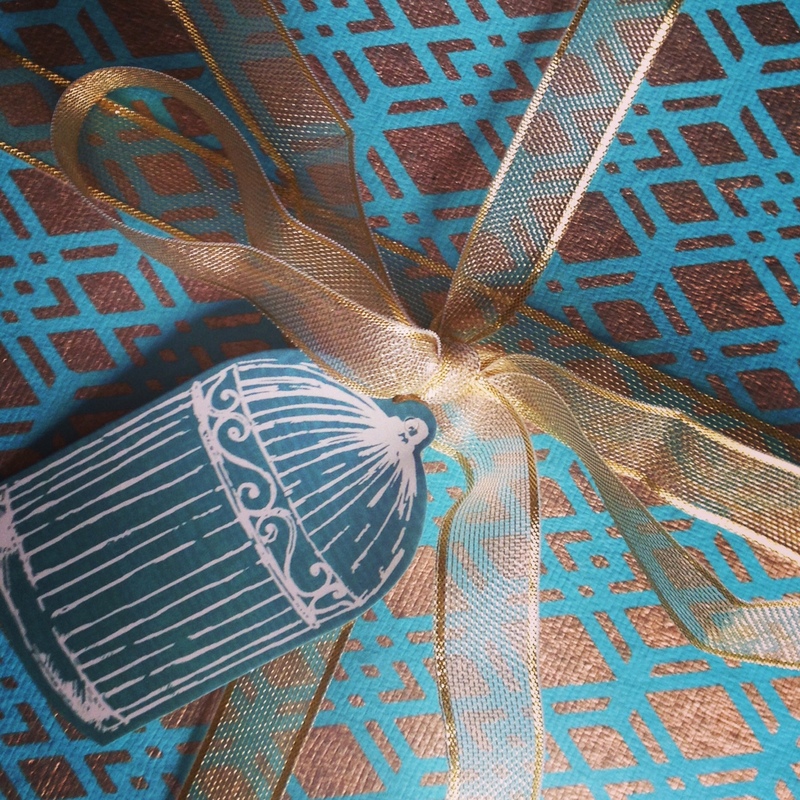 The Mystery of the Jewelled Moth cover reveal – and a festive competition! Season’s greetings! 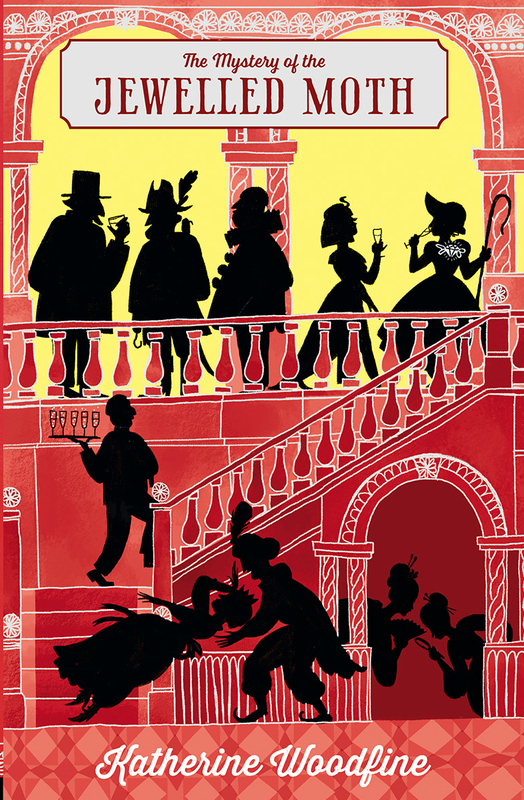 I’m very excited because today I’m revealing the incredibly gorgeous cover for the sequel to The Mystery of the Clockwork Sparrow. 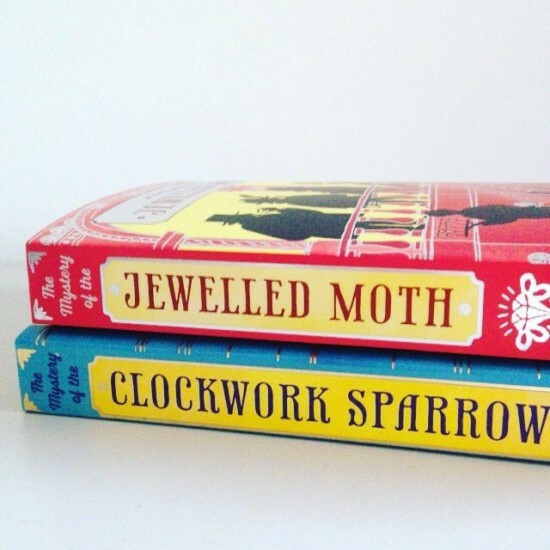 Take a look at the beautiful The Mystery of the Jewelled Moth, publishing in March 2016! 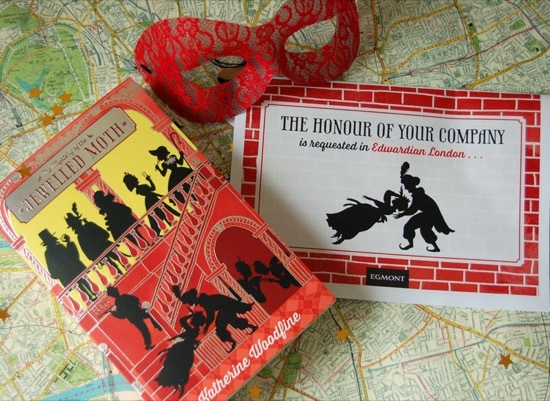 The honour of your company is requested at Lord Beaucastle’s fancy dress ball. Wonder at the puzzling disappearance of the Jewelled Moth! 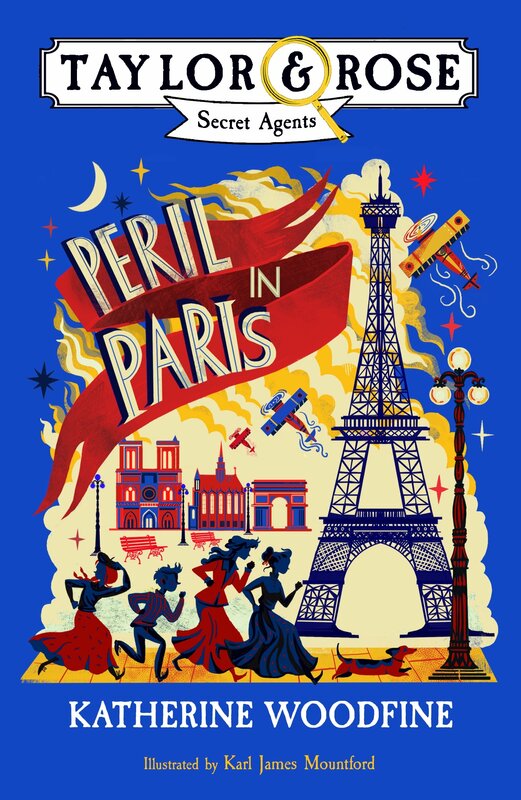 Marvel as our heroines, Sophie and Lil, don cunning disguises, mingle in high society and munch many cucumber sandwiches to solve this curious case! Applaud their bravery as they follow a trail of terrible secrets that leads straight to London’s most dangerous criminal mastermind, and could put their own lives at risk… It will be the most thrilling event of the season! You can now pre-order The Mystery of the Jewelled Moth here. To celebrate the cover reveal (and the fact it’s nearly Christmas!) I’m running a festive competition here, on Twitter and and on my author Facebook page. Enter for the chance to win a signed copy of The Mystery of the Clockwork Sparrow, plus a box of lovely goodies worthy of Sinclair’s department store itself. To enter all you have to do is leave a comment below, email me, tweet me or leave me a Facebook comment to tell me – if you were doing your Christmas shopping at Sinclair’s, what would you buy? It can be something for yourself or for someone else. BILLY: Billy spends a lot of time in The Mystery of the Clockwork Sparrow scribbling in old exercise books with the stub of a pencil, so I think I’d treat him to a leather-bound notebook and a fountain pen. Of course, I’d also have to give him a detective story or two from the store’s Book Department. JOE: After his time living rough on the streets and hiding out in the Sinclair’s basement I feel Joe deserves some TLC, so his Christmas present would be a big cosy jumper from Gentlemen’s Outfitting, and maybe some woolly socks to make sure he’s toasty warm all winter. LIL: The gang in general enjoy their food, but if there’s one person whose appetite is as big as her capacity for enthusiasm, it’s Lil! I’d get her a huge Christmas hamper stuffed with all kinds of tasty festive treats for her to share with the others over the holidays. Updated: The competition is now closed! In more exciting festive news, The Mystery of the Clockwork Sparrow has featured in Christmas booklists including the Telegraph’s best Christmas books for children and Red Magazine’s best children’s books to give as gifts. I hope it will be appearing under lots of Christmas trees and in lots of stockings this year! 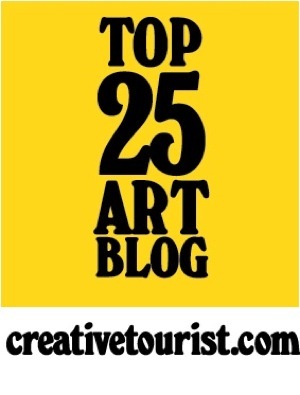 Updated Jan 2016: The Competition Winners! 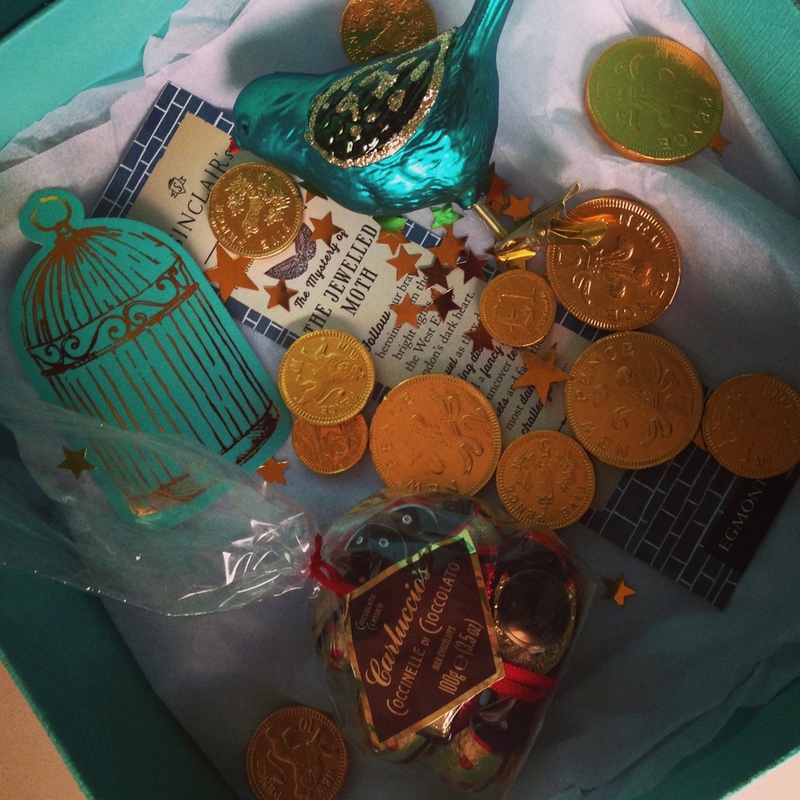 It was so difficult to choose a winner for the Clockwork Sparrow festive competition as we had so many fantastic entries. I loved reading about all the different things you would buy – from glamorous gowns to delicious treats from the Confectionery Department, and of course, lots of extravagant hats! Huge thanks to everyone who entered. 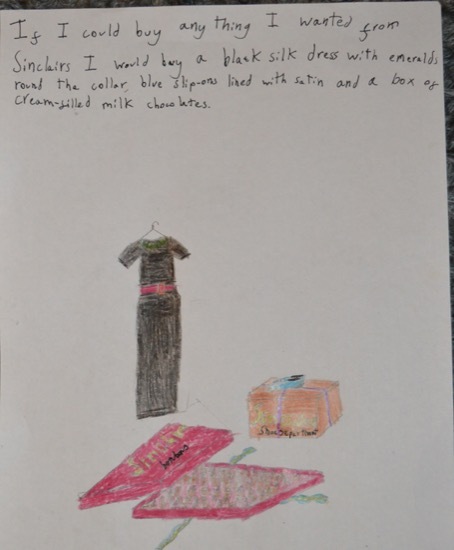 In the end the prize was awarded jointly to two young readers aged 7 and 10 who are also sisters, who chose to draw as well as illustrate their ideas – check out their winning entries below. 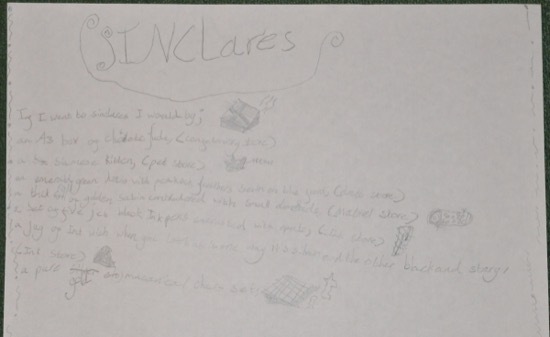 Congratulations and I hope you enjoy your Sinclair’s Christmas goodies!